One of the Philippines' most exotic delicacies is the Balut, or the boiled duck egg. It's a popular street food among locals but not every Filipino share the love for this tasty meal. It's a fertilized duck egg, normally a mallard duck that's usually prepared through steaming or boiling. What's peculiar about it is that it usually comes with a half formed duck chick that's traditionally eaten as a whole. 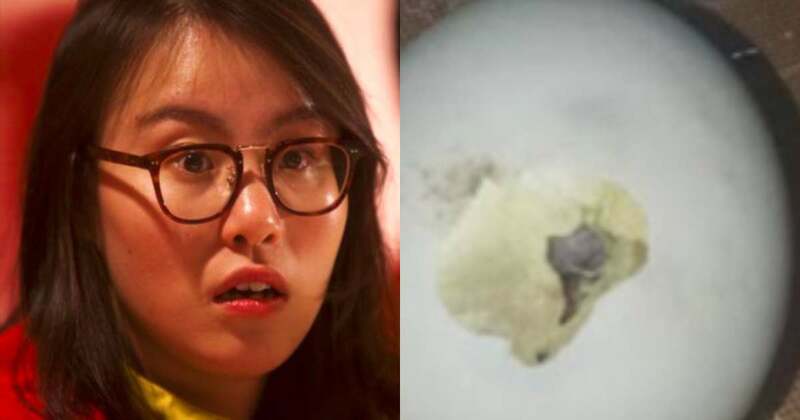 But this netizen who just wanted to feast on this delicacy shared her unique encounter with the egg. 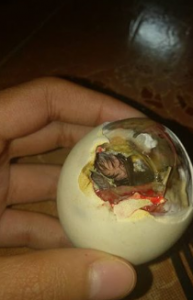 She shared a photo of a Balut her mother bought from the public market. She was under the assumption that the balut was already cooked, but boy was she wrong! Upon peeling the hard shell, she actually heard a soft chirping sound! The bloody egg was in fact raw! 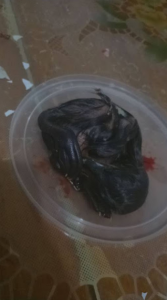 The good thing is, because of the chirping, the duckling was confirmed to be alive. She was able to extract the frail duckling from the egg but from the looks of it, it has only a few moments to live. 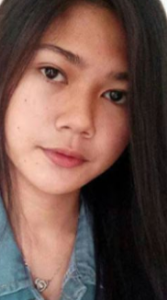 Frantic and inexperienced, she turned to her mother to ask for help about her situation. Her mother suggested that she should incubate the duckling by using a light bulb. And the trick really worked! The duckling recovered immediately. 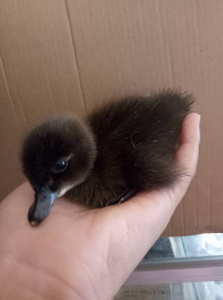 The premature duckling survived the night and became attached to her. The little duckling found a new home and looks happy in the care of the woman-- whom ironically was first planning to eat her.